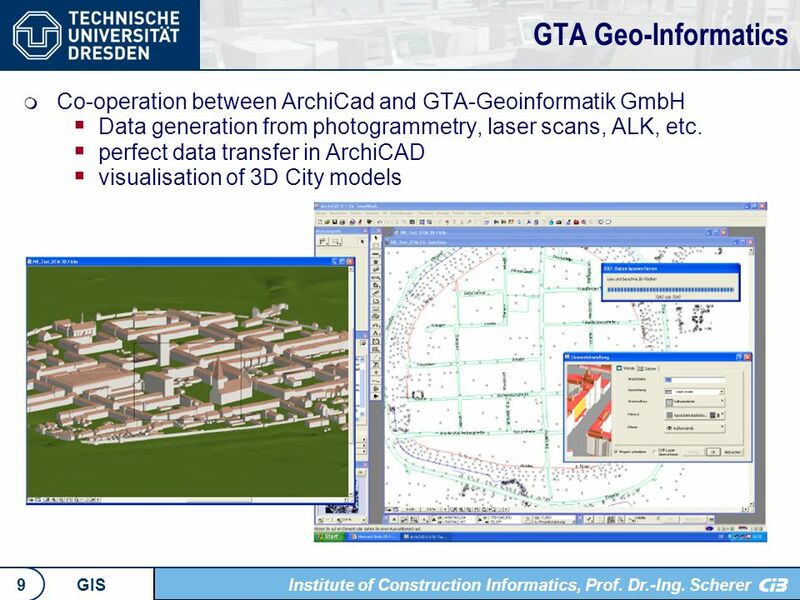 Faculty of Civil Engineering Institute of Construction Informatics, Prof. Dr.-Ing. 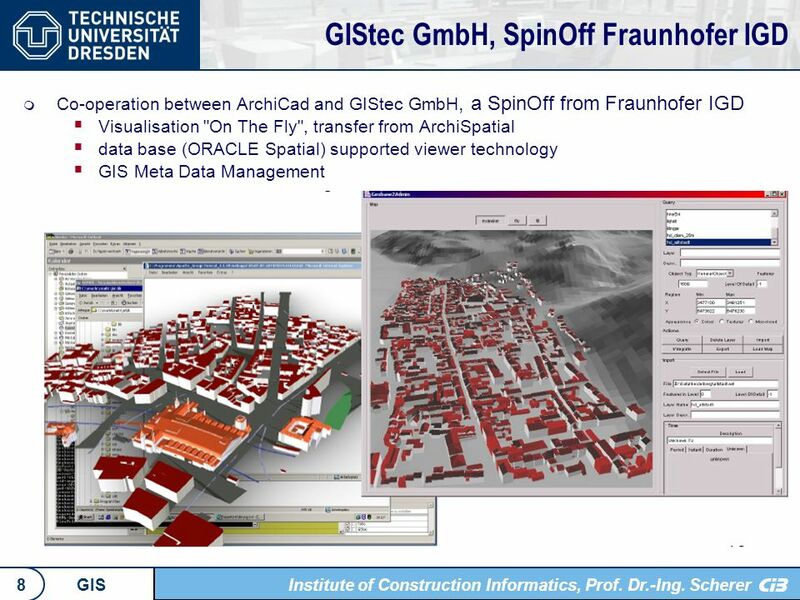 Scherer Institute of Construction Informatics, Prof. Dr.-Ing. Scherer. 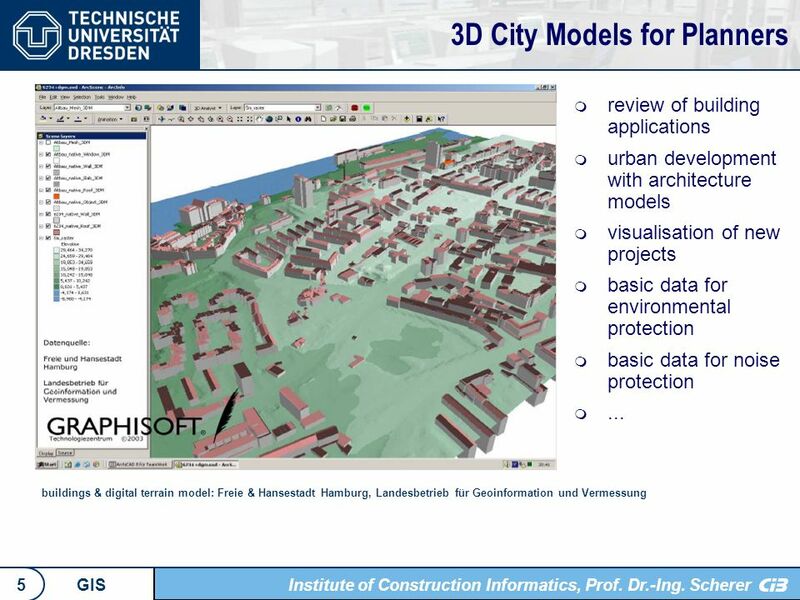 Download ppt "Faculty of Civil Engineering Institute of Construction Informatics, Prof. Dr.-Ing. 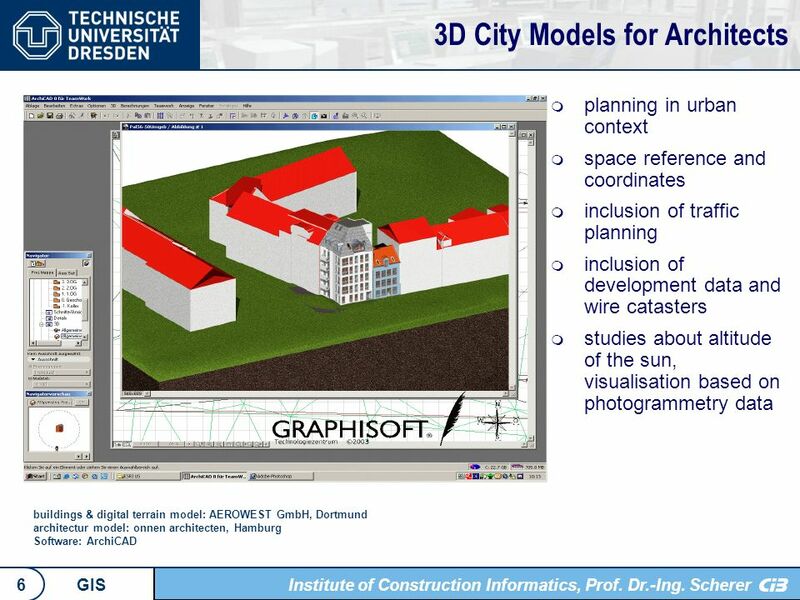 Scherer Institute of Construction Informatics, Prof. Dr.-Ing. Scherer." Geographic Digital Content Components André Santanchè Advisor: Dr. Claudia Bauzer Medeiros Database Group Unicamp - Brazil. Web Mapping Service Development For DMSP Satellite Data Chris Elvidge, NOAA National Geophysical Data Center Ben Tuttle, Cooperative Institute for Research. ISPRS WG II/3 Chongjun YANG Sept th 2003, Thailand Co-Chair of ISPRS WG II/3 IRSA/Chinese Academy of Sciences. 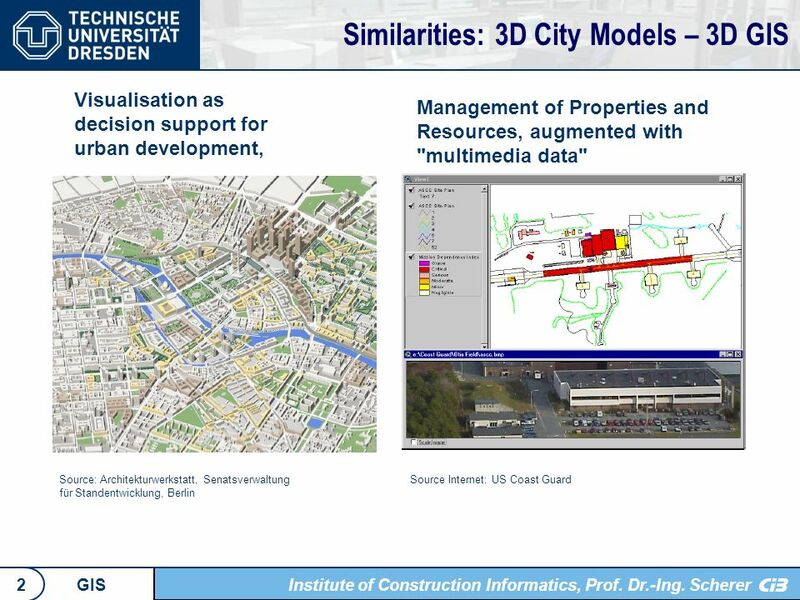 Heterogeneous Geographic Objects Interoperability Victor Azevedo Master Student in Geomatics/UERJ Geoinfo, 2006 Margareth Meirelles. Partners European Forest Institute Fraunhofer Institute for Autonomous Intelligent Systems Dresden University of Technology Forest Biometrics and Computer. PRODUCT MODELLING. Eastman C (1999). Building Product Models, CRC Press, Boca Raton Smithers T (1989). AI-based design versus geometry-based design or. 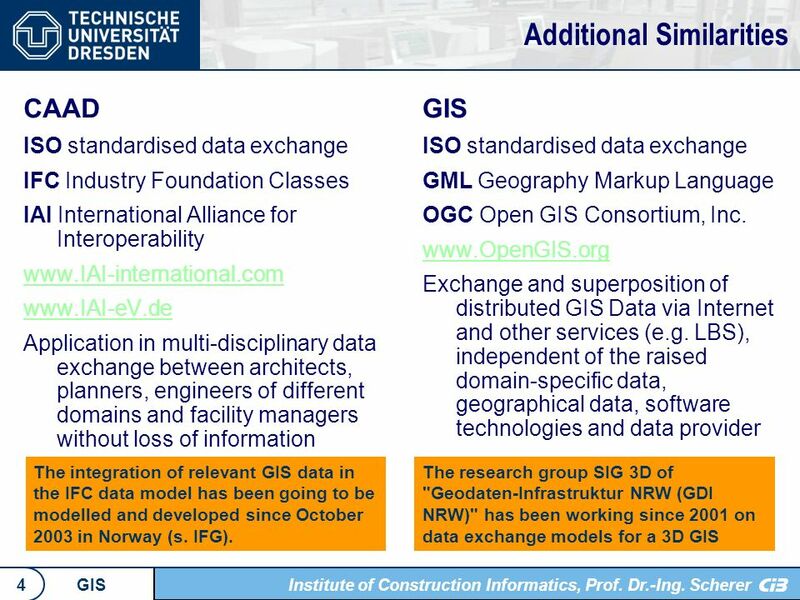 Dr. Gerhard Joos dotGIS – Beratender Ingenieur für Geoinformation Application Redesign Workshop 1: Quality. CAD Outsourcing Company. Agenda About us CAD Services Benefits Our Team Technology Infrastructure Process & Methodology Quality Control Examples. Software Verification 1 Deductive Verification Prof. Dr. Holger Schlingloff Institut für Informatik der Humboldt Universität und Fraunhofer Institut. 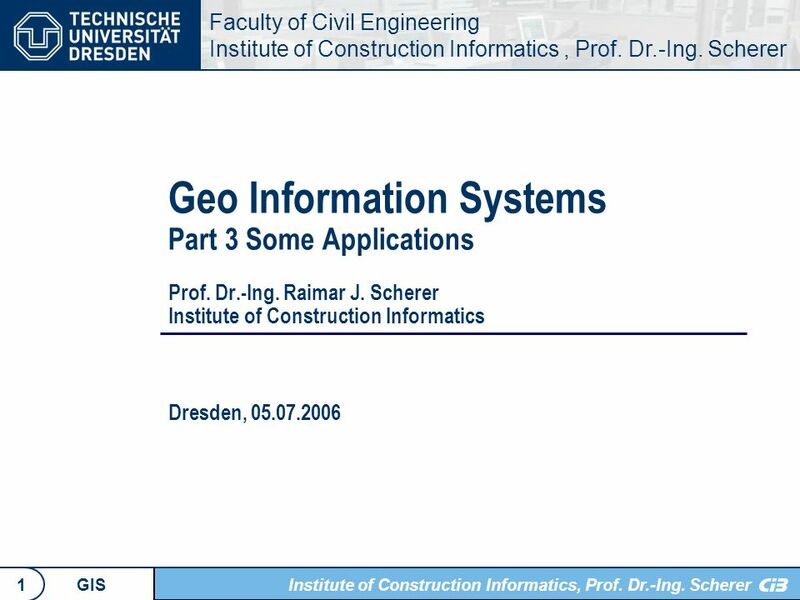 Department of Geoinformation Science Technische Universität Berlin WS 2006/07 Geoinformation Technology: lecture 9a Triangulated Networks Prof. Dr. Thomas. 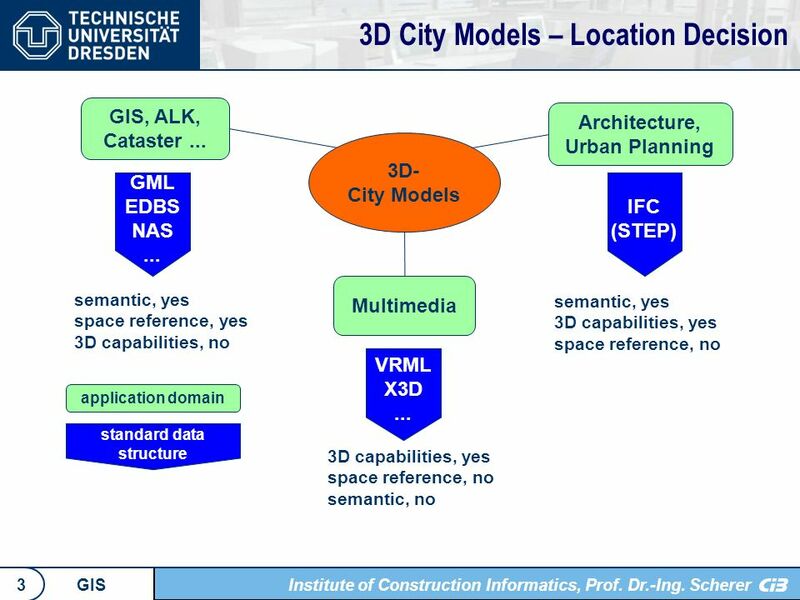 Research initiative V 3 D 2 of the German Research Foundation (DFG) „Distributed Processing and Exchange of Digital Documents“ Ltd. Bib.-Direktor W. Stephan. RIVELA Database for the Research on Venice and the Lagoon Dr. Pierpaolo Campostrini Dr. Caterina Dabalà Dr. Stefania De Zorzi Prof. Renzo Orsini RIVELA. XPlanung 2nd HUNAGI Conference Plan4all workshop, March 3, 2011, Budapest Dr.-Ing. Kai-Uwe Krause. 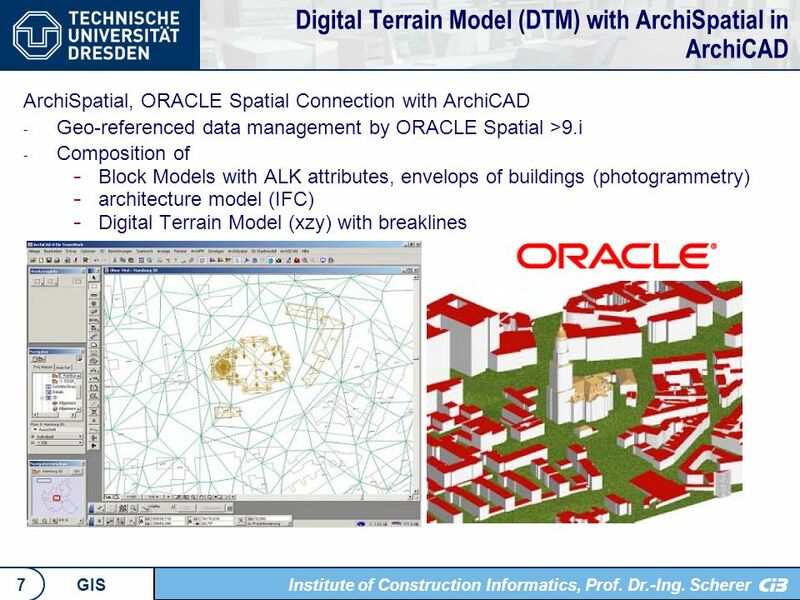 7M701 1 CAD Data Structures. 7M701 2 Modern System Implementation Object oriented, defining both data and functions of the object. Advantage: object class.